At Girl Scouts, we build girls of courage, confidence, and character who make the world a better place. This is true not only for girls in western Ohio, but for girls all across the country! Which is why we were so excited to learn that a Girl Scout working on her Gold Award project in San Juan Bautista, California was making waves in Ohio! For her project, Shelby O’Neil wanted to tackle ocean pollution and ocean education. 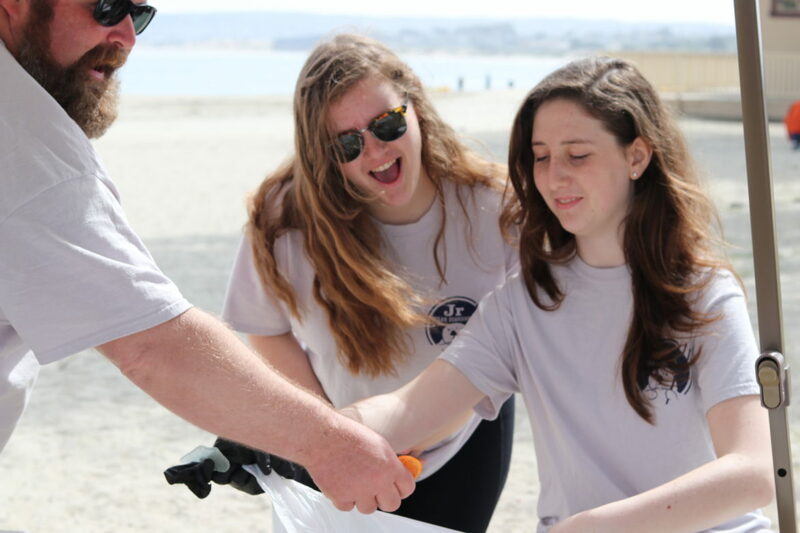 Growing up in central California, she’s always been fascinated by the ocean, so it seemed natural that her Gold Award project would be centered around it. She started an organization called Jr. Ocean Guardians to share her passion to save our oceans and sea life for future generations. As a volunteer for the Monterey Bay Aquarium, she learned how much humanity is impacting our oceans — for the worse. That’s why she started a campaign called No Straw November, which aims to bring awareness to how many plastic straws are being used, then thrown away, in a single month. She’s challenging everyone to refuse plastic straws for the entire month of November and to keep a tally of how many straws they’ve eliminated from potentially ending up in the ocean. Sounds like a fun challenge, right? So now’s our chance to bring No Straw November even further into western Ohio! Head over to the Jr. Ocean Guardians website and take the No Straw November Pledge. Download the No Straw November Girl Scout Tally Sheet, and for a $2 donation to Jr Ocean Guardians, you can receive a special No Straw November patch! I’ll be taking the pledge and bringing my reusable glass straws everywhere! Will you join me? Thank you to all the Girl Scouts of Western Ohio for your support and spreading the “No Straw November” message. You all make me so proud of the Girl Scout sisterhood! Don’t be afraid to be a change maker, one voice can make a difference! Special thanks to Caitlin for carrying the message and helping save our waterways and planet. Remeber to use #NoStrawNovember on your Instagram posts. Thank YOU, Shelby, for everything you’re doing! We’re really excited to participate this year! I’m going to try going without single-use straws for October and November, so we’ll see how it goes!